Can you tell us a bit about yourself. In 2004, I graduated with a Masters’ degree from the University of Melbourne, after an undergraduate degree majoring in Japanese and English. 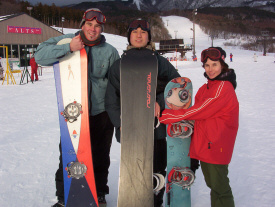 When I was 18, I spent about three months traveling around Japan, and after seeing temples, shrines, volcanoes, monkeys and every type of onsen, I decided to head to Niseko Annupuri to learn how to ski again. Previously I’d skied as a kid at Falls Creek in Australia, an experience which did not prepare me for the endless powder, nor the milk ramen I discovered in the cafeteria. How long have you been in Japan and what doing? 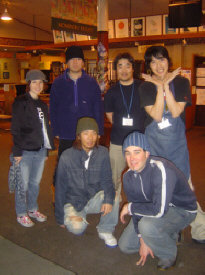 I arrived in Japan in December 2004, and headed to Hakuba to work at a resort hotel. There was a poster advertising job opportunities at Japanese ski resorts posted at my uni. Did you need a Japanese resume and/or Japanese speaking ability? Initally I just emailed a copy of resume in English, but soon received a phone call from a Japanese staff member to check my language ability. 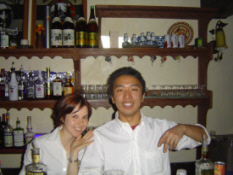 We chatted about normal things - my studies, hobbies, interest in Japan, etc. Thankfully, it was much more relaxed than I had expected! What resort were you at? 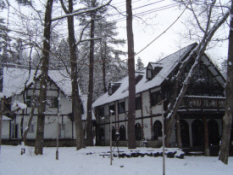 Happo One in Hakuba. The day I arrived was kinda disappointing as it looked nothing like the photos I had seen/picturesque snow resort I imagined. There was only snow on the mountain peaks, which meant the town looked like any other little village. What kind of work were you doing? I worked in a four-star hotel restaurant at first, but this did not suit me, for a number of reasons. Firstly, the lifestyle was really difficult for me to adapt to. We generally worked split shifts, 6am-11am, then 4pm-10pm or later, EVERY SINGLE DAY. Many of the staff were accustomed to this schedule and would hit the slopes during the lunch break. But as a recent uni graduate, (whom would often sleep until 1pm or later, then go to sleep at 3am), I just could not adapt to the early mornings, hectic restaurant work and late nights. I soon began working at the hotel pub, which was fantastic, and saw the start of my love affair with resort life. Work generally went from 5pm to 1am, which suited my sleeping routine, and allowed me all day on the snow. Occasionally I was asked to baby-sit for children of guests, as English-speaking nannies were in short supply. Baby-sitting was great fun - we built snowmen, played in the snow and then hit the onsen together, before curling up with ice-cream over a DVD. The best part was that generally I baby-sat on days when the weather wasn’t so good and the kid didn’t want to go outside, which meant I wasn’t really missing valuable snow time, either. Also, the money I earned in just over a week baby-sitting bought my first K2 board, flux bindings and DC boots - well worth the sacrifice. Another family had me mind their baby, and this was nice as once she fell asleep, I could relax in their five-star suite. Where did you live and did they help you with that? The company organized for me to live in the hotel’s dormitory, itself a former pension, and I shared a room with another Aussie girl. This situation suited me fine as I had my own loft bedroom, and we only shared a bathroom/tv. Unfortunately, our shower never really worked - but this meant we could use the hotel’s onsen every day. And as a bonus, the girls’ dorm was located on the hotel premises, but the boys were forced to walk ten minutes uphill every day. Did you speak Japanese in your work or was it mostly/all English? In the restaurant, there was one other Australian guy working so we spoke English together and to foreign guests, but almost everything else was in Japanese. There was almost no concession given to compensate for the language barrier, so we had no choice but to improve our Japanese. 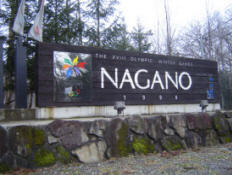 Strangely, the Japanese staff spoke almost zero English, despite the large number of foreign guests. In the pub I was able to speak more English as foreign guests came from other hotels/pensions, etc, as well as the many drunken Japanese guests who wanted to practice their conversational skills. 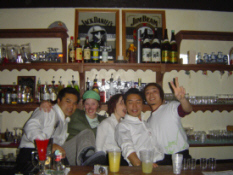 The head bartender, ‘Bob’, was a Japanese guy obsessed with reggae and snowboarding, and his English was limited to ‘Yah, mon’. (Seriously. So I learnt how to make all cocktails in Japanese ). What kind of renumeration/holidays/package did you get offered? 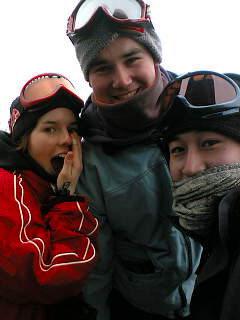 Initallly I was told we would work about 40 hours a week, with free lift passes available everyday on a first-in-best-dressed basis. I did not realize there would only be eight passes available for over 25 members of staff, nor that they would be on a 4-hour time limit. I knew the rate of pay would be low, but I did not factor in the 20% tax taken from those with working holiday visas. This effectively dropped my wage to less than that paid at Mister Donut, and when combined with the absolutely grueling work hours in the restaurant, I wasn’t very happy. Eventually, however, the hotel compensated us in other ways, which was nice. Enough time to enjoy the slopes as well as working? Not at first, but that was mainly related to my nocturnal lifestyle. Other staff members successfully combined working split shifts with snow time, I just couldn’t do it on no sleep! The snow. The people. The onsen. The relaxed lifestyle. The amazing scenery. The fact that there is little else to do in these towns except hit the slopes, work or hang out with friends. I’d always thought of myself as a city person, and my main hobbies were going to see bands, movies and to eat out. But my time in Hakuba made me realize just how nice it is to enjoy nature. I had never tried snowboarding, but after seeing just how many boarders there were on the slopes, I gave it a go and haven’t been back on skis since. What else? 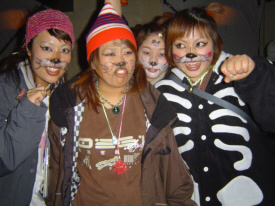 There were many events - a Canadian Christmas dinner, taiko parties, bbqs and other things, all of which were heaps of fun and really added to the overall experience. Any kinds of problems that you encountered often/Worst thing about the job? Most definitely the language barrier, almost entirely related to work politics. The head chefs would bark orders in Japanese and often it was a case of new words combined with new concepts - I've never worked in a fancy restaurant before, and didn't even know what I was supposed to say in English. It was also the first time I'd entered a Japanese work environment. I knew Japanese people work hard, but I was unprepared for just how far they were prepared to go for their job. When I complained to my manager that I wanted more time off and needed more sleep, he had absolutely no sympathy. I soon discovered that right after breakfast he would take a nap in his car before the lunch shift, then would nap again before the dinner rush. I couldn't imagine staying at my workplace from 6am to 11pm every day, but he did, and he was always smiling, too. The major problem, however, was the fact that I was vegetarian. I was assured the chef in charge of staff meals would provide meals for me, but as many vegetarians may know, the whole concept of not eating meat/fish is generally not very well regarded here. I had huge problems trying to maintain a nutritious diet, especially due to the crazy prices of fresh produce in winter! Any comments and tips to readers looking for similar kind of work? Do it! Do your research, find somewhere that meets your needs & be prepared for one of the best winters ever! As they say in Hakuba, “Think Snow”. Even if life in Japan is getting tough, you just have to step outside into the amazing, bountiful powder, and you realize it is all worthwhile.